Paying down your mortgage is a great investment. Find out how to do it fast right here. Today, we’re going to talk about how your mortgage can be a surefire investment. Paying down a mortgage has long been viewed as a reliable investment. 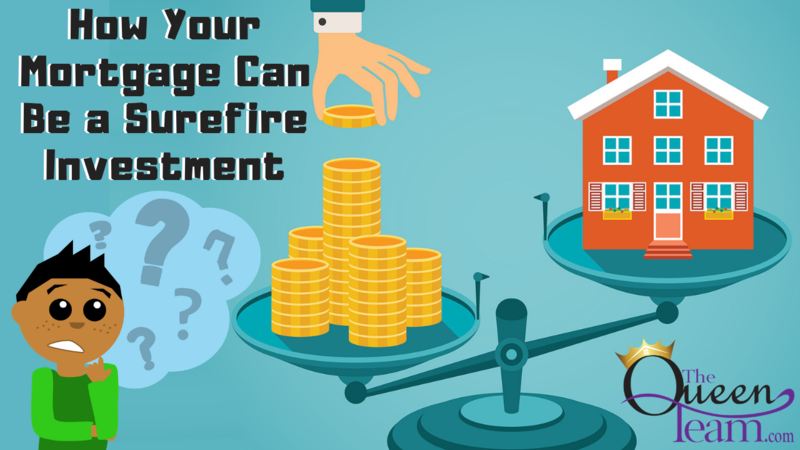 It reduces debt, helps home equity grow faster, and provides a guaranteed return equal to the mortgage rate—usually more than someone can make in bank savings, bonds, or other comparable investments. One of the things I recommend to buyers when it comes to making additional payments is to make one to two extra payments of what their principal and interest on their home is. For example, if your total payment with principal, interest, taxes, and insurance is $1,300, where $600 of that is just the taxes and insurance and $700 is the actual principal and interest portion, then you will make one additional payment of that every year for the life of the loan consistently. You’ll reduce the amount of time you pay by five or six years. By making two additional payments every year for the life of the loan, you can reduce your mortgage by 10 to 12 years. The key is to do it every year without fail. The key is to do it every year without fail. Any more than that doesn’t make as much of a difference, unless you’re dropping huge chunks of money. Remember, you can break it up throughout the year on a monthly basis. Using the earlier example of the two extra payments of $700, if you broke up that $1,400 up on a monthly basis, the dollar amount per month would be $116, which would mean a world of savings over the lifetime of the loan. As they say, a penny saved is a penny earned.